With 1,271 open-air car parking spaces, located at about ten-minute drive from the city center, coming here by car couldn't be easier! Burgas Plaza is located on Transportna Street in a very convenient and well-connected area in the northern part of Burgas, close to the extension of the Trakia highway coming from Sofia into the city. Transportna Str. leads to the Black Sea resorts of Sunny Beach and Nessebar, meaning there is intensive car and tourist traffic passing just in front of the mall. There is free parking for 1,271 cars with a sophisticated traffic management system in place to ensure that parking is as hassle-free and easy as possible. Car parking spaces are never more than a five-minute walk away from entrances, and there are separate pedestrian pathways so children are not crossing busy roadways. There are specially designated parking bays for Burgas Plaza Guests with special needs, located throughout the car parks adjacent to the entrances. 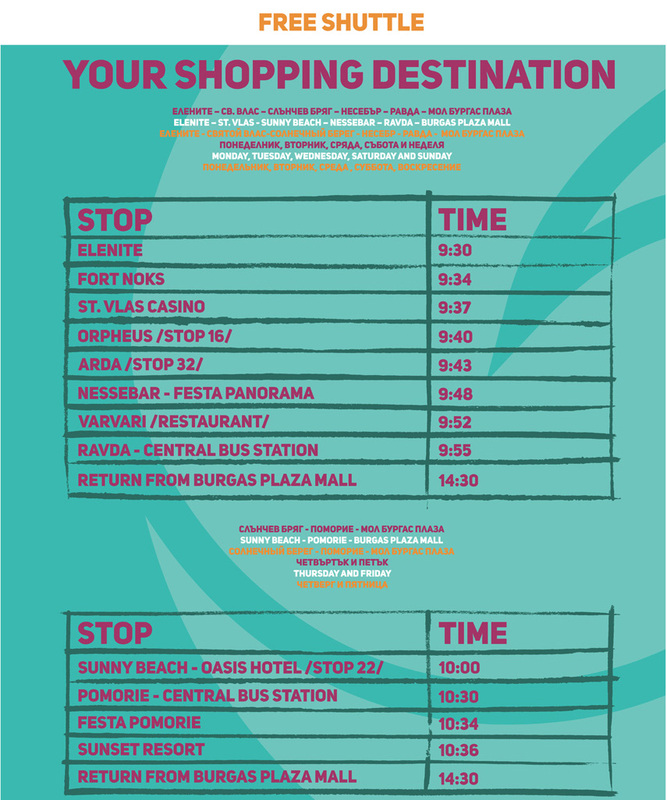 If you're coming to Burgas Plaza by bus, a comprehensive service is available from most of the surrounding area. Over 5 bus routes of the public transport depart from Izgrev Region, leading to the various parts of Burgas. Route No. 1 which has a bus station just next to Burgas Plaza is scheduled to pass every 10 minutes in peak hours. It connects well with other public routes. Also available - bus No. 4,13, 211.